> Can the Focus ST diesel estate keep its petrol sibiling honest? Can the Focus ST diesel estate keep its petrol sibiling honest? 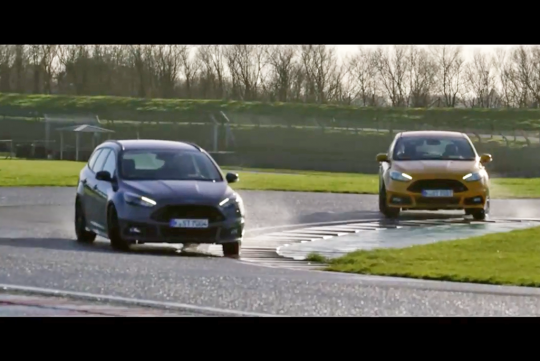 Ford reckons its diesel powered focus ST is just as good as its petrol sibling and asks Autocar's top man, Steve Sutcliffe show us in a short clip why they think so. The reason why FORD did not use either a petrol estate or a diesel hatchback for a fair test because both broke down while on the way to the track?